S.T. DUPONT MAKES USE OF OUR KNOW-HOW! New design guidelines require a redesign of the shop concept. 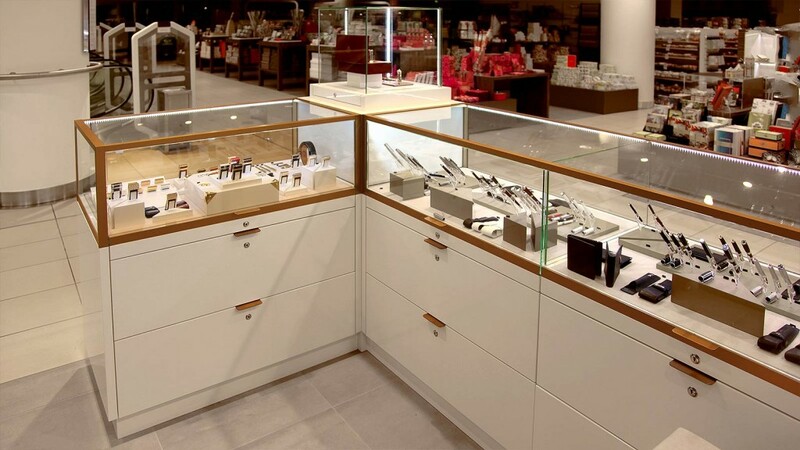 In 2014 the luxury goods manufacturer developed and innovated new design guidelines that required a redesign of the shop concept at the point of sale. We won a pitch initiated by S.T. 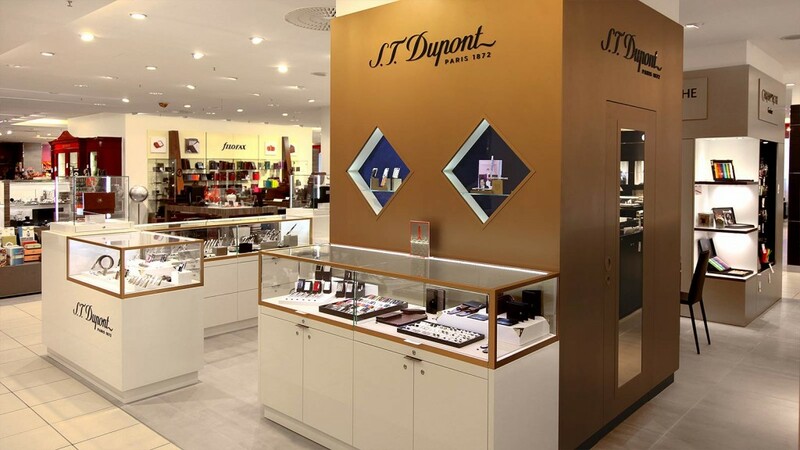 Dupont and took on the lead for the implementation of the shop and setup design in the luxury department stores of the KaDeWe Group, Oberpollinger München and Alsterhaus Hamburg. In 2015, with the focus on KaDeWe, these new design guidelines led to a high-quality concept and implementation planning. Additional strategic processes followed: tendering of furniture and shop construction, sampling and definition of materials, as well as timetable, production and quality management. 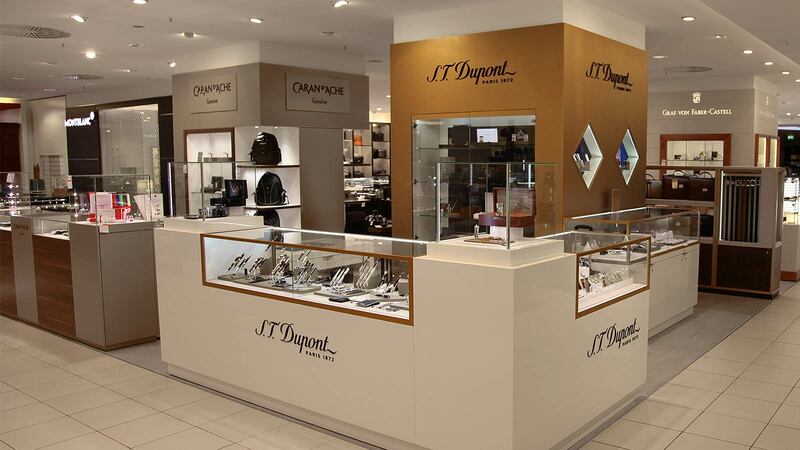 In 2016, we will expand the execution and modification of the new shop concept at other locations. THE TRADITIONALLY MINDED FRENCHMAN S.T. DUPONT MAKES USE OF OUR KNOW-HOW! 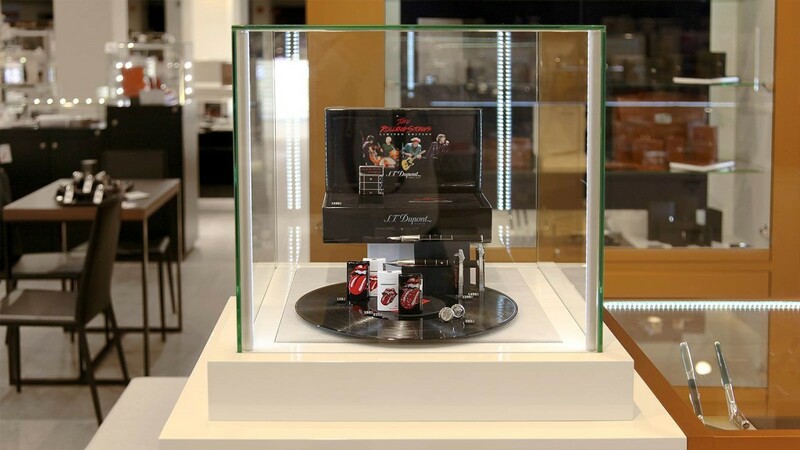 In 2014 the luxury goods manufacturer developed and innovated new design guidelines that required a redesign of the shop concept at the point of sale. We won a pitch initiated by S.T. 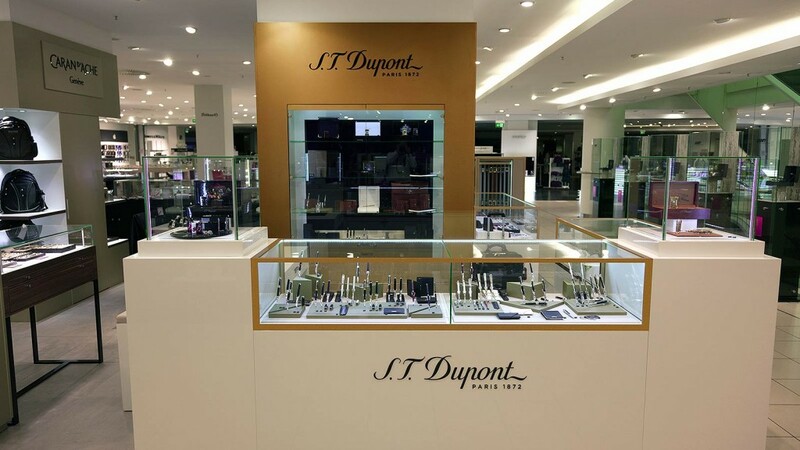 Dupont and took on the lead for the implementation of the shop and setup design in the luxury department stores of the KaDeWe Group, Oberpollinger München and Alsterhaus Hamburg. tendering of furniture and shop construction, sampling and definition of materials, as well as timetable, production and quality management. Furthermore, we are currently developing various packaging designs for product and presentation arrangements, as well as, for the first time ever, a 360-degree display system for exclusive cooperations. We have already implemented a presentation display for the cooperation with Rocketbyz.